Awarded to first year junior counselors who exceeds all expectations, and epitomizes the spirit of The Jack and Pat Kay Centre Camp. They are not only leaders within their cabins, but camp-wide role models filled with energy, creativity and a constant positive attitude. “Great effort springs naturally from great attitude” – Awarded to staff members who demonstrate a positive attitude, a genuine love and care for the camp and its campers, and are regarded as good CC citizens by fellow staff and the community. “Confidence is contagious” – Awarded to staff members that epitomize spirit and energy. These individuals have the ability to energize campers as well as fellow staff members with their enthusiasm and great personalities. “We must overcome the notion that we must be regular…it robs you of the chance to be extraordinary” – At The Jack and Pat Kay Centre Camp we expect and demand a lot out of our staff. We recognize that it is through the achievements of outstanding staff members that your child’s summer is defined. 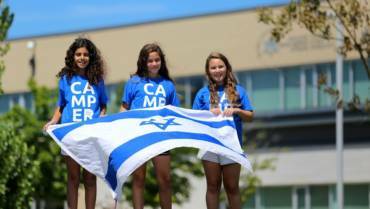 The winners of this award are individuals that go beyond our expectations and truly devote themselves to better The Jack and Pat Kay Centre Camp, its campers, its staff, and the Jewish community at large. “The quality of a person’s life is in direct proportion to their commitment to excellence” – Over the years The Jack and Pat Kay Centre Camp has become a home away from home for thousands of campers and staff members. 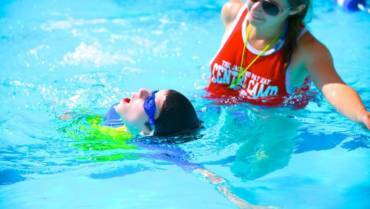 For some very special people, they truly begin to live and breath camp. The Camp Life Achievement Award is dedicated to individuals who become part of The Jack and Pat Kay Centre Camp lore. Awarded to staff members who display their amazing uniqueness – like a snowflake – in every aspect of their job! They exude positivity, camp spirit and energy, and go above and beyond in ensuring Camp is a special experience for the campers, as well as their co-staff!